Do not underestimate the personal and financial risk that exists in the sharing of your identity information, warns Alison Treadaway, Director at secure customer communications specialist, Striata. The IRS incident involved a 3-step scam in which the perpetrators allegedly used information such as social security numbers, birth dates and addresses stolen from unknown sources to access tax returns on the IRS document archive. The tax returns were then used to claim fraudulent refunds. While the origin of the stolen identities is not clear in the case of the IRS fraud, Treadaway sees this as evidence of multiple parties in the chain being too casual about data protection including, possibly, the data owner. 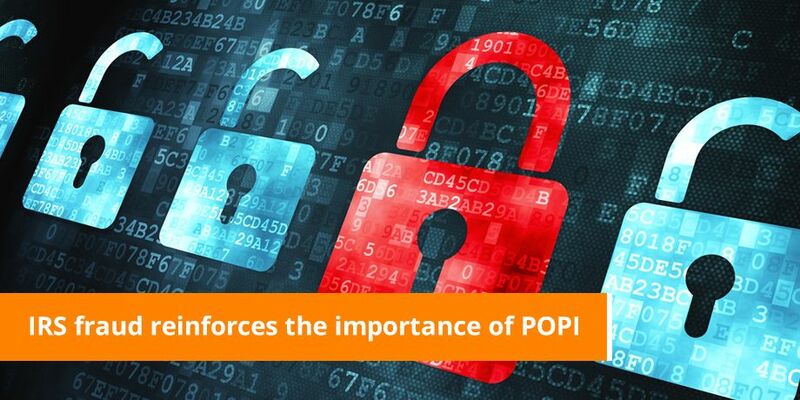 The PoPI Act is very clear on what is required from organizations, but with the absence of time pressure, some may delay the interventions that are needed to adequately secure the data they gather, store and process. A casual attitude towards implementing the necessary policies and procedures extends the window of opportunity for data theft and exposes more individuals to fraud.